With all the challenges that already comes along with being a child or a teenager in school the last thing you want to be is picked on. These days we all know that there are many different ways kids can be picked on including cyber bullying. Thankfully growing up I never had to deal with this type of bullying but throughout my childhood I was picked on and teased the old fashioned way during recess and whenever I happened to be walking home from school. You see the other kid’s would push me and call me names all in an effort to bother me. Growing up I couldn't participate in most physical activities at school so I guess that made me an easy target. Looking back the only reason they chose to pick on me was due to the fact that I couldn't keep up physically. 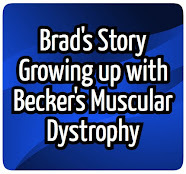 This was a result of living with Becker's Muscular Dystrophy. Once the other kid’s noticed this they just wouldn't leave me alone. Unfortunately once other kids start to notice that there's something different about someone they felt the need to point it out. It’s not a fun situation for anyone to being in when your class mates join together in calling you names all in an effort to belittle you and make you feel like an outcast. Their focus on me was to make fun of the way I walked which resulted in me becoming a little self-conscious about the way I looked. Now I am sure we can all agree that no one deserves to be called names or to be pushed around and tripped simply because of the way they look or walk. Sadly many kids are still dealing with this today and I believe after recent events that it is time for all of us to take this issue more seriously. There’s no doubt that I am glad I can say that I survived being bullied in school and I am extremely happy those days are now behind me. I am sure we can all agree that no child or teen should have to be afraid of setting foot in any school. No student should have to spend their days like I did being stressed out and worried about being picked each and every day. I truly believe that the worst thing about being bullied is the fact that it can happen at any time and more than likely when a teacher isn't around. Like most kids I was mainly bullied during recess and the bus ride to and from school. It was really hard at times since it was a common everyday occurrence and these kids were relentless in making fun of me. I am guess you can understand when I say that going to school was my least favourite thing to do. This resulted in me pretending I was feeling sick all in an effort to miss a couple days of school. I actually did this quite frequently simply to avoid being bullied. But after a few days it was back to school and what I considered to be a battle ground. It got so bad that one time after recess I just stayed outside hidden behind the school as I didn’t feel like going back inside. Now there were a few times when I had to stand up to the kids that were picking on me but this usually didn’t end well as most times I would just end up in detention or the Principal's office awaiting a possible suspension. Another time this lead to a fellow student wanting to fight me after school as you can see fighting back isn’t always the thing to do as it can lead to even more problems. Now I am sure everyone can understand that being bullied isn’t a nice thing to go through and the effects on some can be tragic. Honestly fighting back physically or seeking revenge isn’t always a good idea. 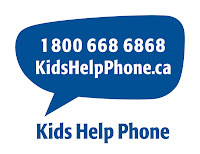 In school it is always best to report an incident of bullying to a teacher or someone you trust. Hopefully things get taken care of from that point. I guess the one thing to understand about being bullied is that at one point it will end. But hopefully as a society we can join together to make sure it never even starts. Unfortunately back in the day when I was in school teachers didn’t really even want to deal with bullying they had the attitude that it was just kids being kids. I actually had a teacher say to me once, “The only reason they pick on you is due to the fact that you react to it“, he then told me to just ignore the insults. Thinking back this teacher should have done more when I told him that other students were bullying me. That's why I really hope that today's teachers and school boards are doing more to help bring bullying to an end. What they need to do is start teaching their students from day one is that no one deserves to be treated poorly because they are somewhat different or have a physical disability. This is my big concern for my Son with BMD. He is in a very small, Catholic School. For the most part, he is accepted and liked by all. The other day he did tell me that his teacher lets the kids pick teams in Phy Ed class. I was really annoyed by that. Obviously my kid is one of the last ones picked for team. I'm very concerned for Middle School. He has the rest of 4th grade and all of 5th. I am dreading that day. At times through out my schooling I faced the same issues and it was very hard for me to participate in Phy Ed Class. During running exercises I would always finish last and it frustrated me at times eventually I was lucky enough to be exempt from Phy Ed class which helped me out a lot especially in High School. I really do hate it when teachers ask students to pick teams this is always bad since someone is always left out. I really believe teachers need to eliminate the practice of allowing students to form their own teams. Over the next few months, Facebook will be archiving all Facebook groups created using the old groups format this means that everyones comments will be removed once they remove the old page! So I want to share a few of the comments regarding this post below before they are removed. - I attended School and had a siimilar experience with my BMD and my waddling gate I endured ridicule,beatings and more there wasn't a day at one School that my Mom picked me up that I never had bloodied knees and the like the situation got so intolerable that she removed me from the School and we relocated moving away to another suburb that was in 1968 I can still see the malefactors waiting at the school gate in the recesses of my mind. 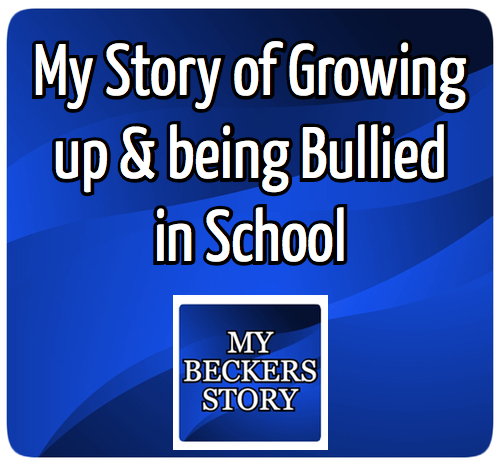 Anonymous - Please join us at the My Becker's Story Facebook page. Everyone there would love to get to know you and we will all do our best to help. You have our support some of us have been where you are and will do our best to help! 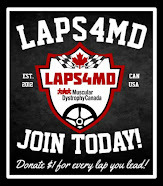 Please join us and leave a comment on our facebook page!